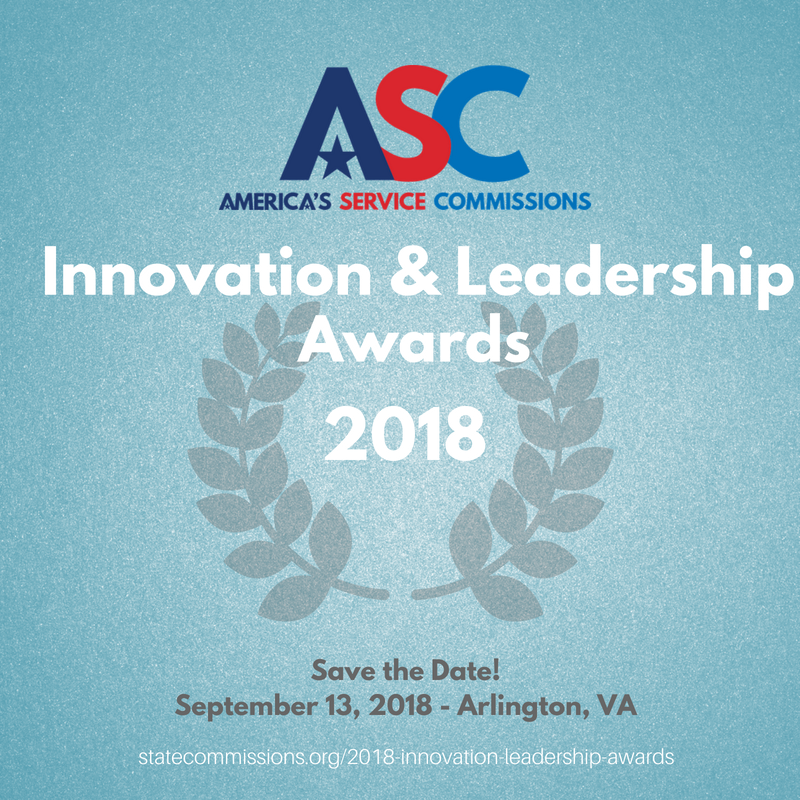 America's Service Commission's Innovation and Leadership Awards recognize the outstanding accomplishments and leadership of state service commission staff, commissioners, and programs in uniting states in service. Award nominations are open in late spring/early summer with the award being announced at the Annual Reception & Awards in September. We also recognize state and local leaders who are active champions for national service and volunteerism in their states and communities through our State Service Leadership Awards and Friend of ASC Awards. Nominations closed on June 26, 2018. Please join us as we announce award winners and celebrate state service commissions on September 13th. Click here for details and registration information. In honor of its 20th Anniversary, ASC presented 20 individuals with 'ASC 20' Awards. View the 'ASC 20'.